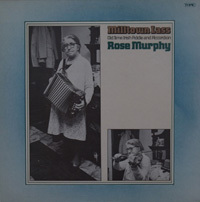 The captivating fiddle and accordion player, Rose Murphy, was born in 1900 into an intensely musical family in Milltown, County Galway. She spent much of her adult life living around Rotherham in South Yorkshire, and was 76 years young when this recording was made. The album delightfully recaptures the dancing repertoire styles of her youth in the West of Ireland.